The famous World War II character Betty Boop goes patriotic in this life sized stand up! 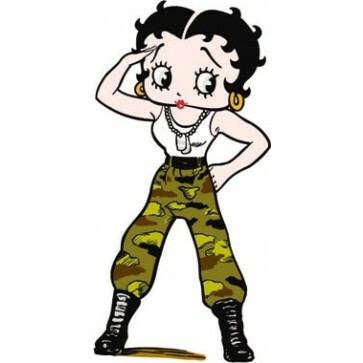 Get this stand up for a Betty Boop loving patriot or as a party prop! The Betty Boop standup is made by Advanced Graphics.